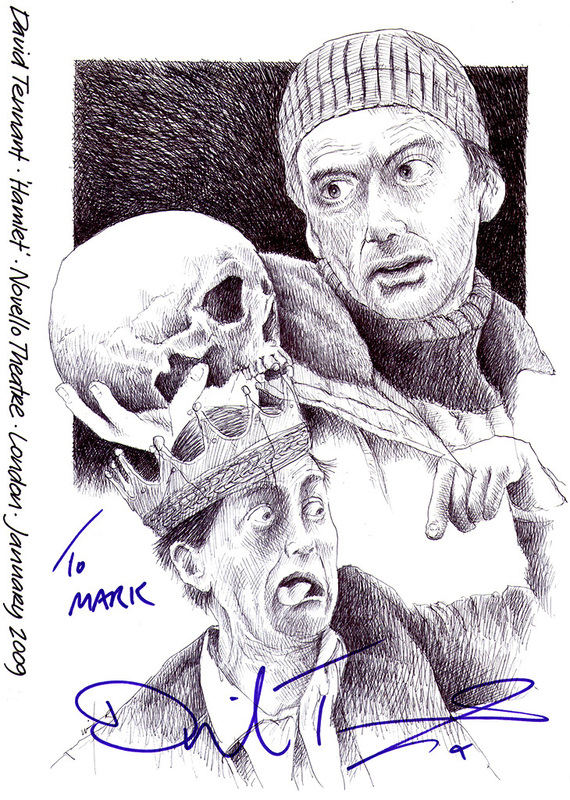 A few years ago David Tennant pulled out of Hamlet due to back problems and I didn’t get a chance to have him sign my drawing. I saw him later in Much Ado about Nothing and got the signature. This entry was posted in Celebrity, Theatre and tagged Autograph, David Tennant, Drawing, Hamlet, Novello, Shakespeare, Signature, sketch, Theatre, Westend by Mark Winter / Chicane. Bookmark the permalink.